EBSolute, a wholly owned subsidiary of EBSolute Technologies LLC (Dallas TX), is a leading Information Technology company providing high quality solutions, for more than 10 years. We bring you industry perspectives and best-of-class ideas for using technology that will make your business perform better. Our process starts with understanding you, your processes and your challenges, then we leverage our unique Business Model to deliver options, ideas and business solutions that will increase your efficiency, lower your costs, strengthen your customer interactions and enable your employees work faster and smarter. EBSolute was founded in 1999 with the mission of becoming a top notch IT Solution provider in the world. We are recognized in world marketplace for our ability to complete the projects on time, every time and within the given budget and scope. Our commitment to our Clients is to provide consistent performance and deliver with the most efficient approach. Achieving high customer satisfaction is our goal and we exceed customer expectations through constant communication and improvements. We thrive to deliver quality product using modern technologies and Total Quality Management (TQM) processes. We pride ourselves on following the internationally accredited ISO processes, which is equivalent to CMMI Level 3, and we are proceeding on the path towards achieving CMMI Level 4 certification. EBSolute follows different Engagement Models (On-shore, Off-shore and Hybrid) to provide solutions to suit unique requirements of our Clients. 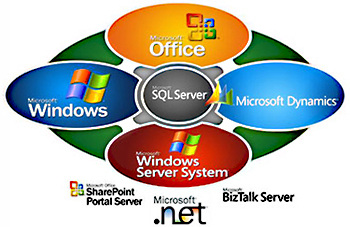 We also undertake turnkey jobs to deliver end-to-end solution for a particular business problem. We leverage our proven Business Model to deliver value in every engagement. We ensure that every cent spent by our client must result in an enhanced ROI, which can be measured and tracked. The quality of our services speaks for itself as a great deal of work comes from the existing customers; over 95% of customers do repeat business. EBSolute is committed to providing personal and professional growth to its employees by providing training on latest technologies and modern concepts. EBSolute helps its customers align their business strategies to achieve long-term success; we deploy cost-effective solutions that deliver genuine performance improvements. EBSolute specializes in the implementation and customization of market-leading ERP, CRM and BI Solutions from Microsoft, through a comprehensive offering of Custom Development, Integration, Implementation, Consulting and Support.